Shobna Gulati is an accomplished actress, writer and dancer of Indian descent, best known for playing Sunita Alahan in the long-running ITV soap opera Coronation Street (eventually departing the series in an explosive exit that had the nation gripped!) and also Anita in Victoria Wood's Dinnerladies. Other TV appearances include Loose Women (joining the show in early 2013 and staying until May 2014), Call My Bluff, Have I Got News for You, The Weakest Link, Russian Roulette, Celebrity MasterChef, Countdown and as Diana Ross in Celebrity Stars in Their Eyes. In early 2006, Gulati took part in the Reality TV series Soapstar Superstar. Gulati is one of very few actors to have appeared in both Coronation Street and its rival series EastEnders (she appeared in the latter in 2000). 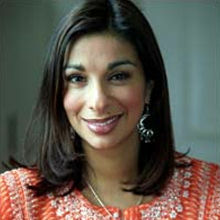 After Shobna left Coronation Street initially in 2006, she played Nisha Clayton, a recurring role in the final series of Where the Heart Is and also made appearances in New Street Law and the one-off comedy drama Magnolia, which was written by Dave Spikey for BBC's Comedy Playhouse series. In 2008, Shobna made her debut as a filmmaker, producing the short film Akshay; this was shortlisted for the Satyajit Ray short film awards. During this period, the actress returned to her Coronation Street role as Sunita Alahan, where she stayed for a further three years. A very popular actress for personal appearances, Shobna is happy to chat to the public whilst signing autographs and posing for photographs. If you would like to book her for your Event, please contact Prime Performers via the online booking enquiry form or alternatively call us on 020 7251 8222 to discuss your requirements. Currently appearing as Chastity Dingle in Emmerdale. 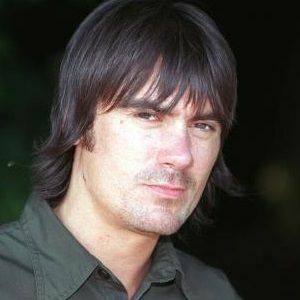 Currently playing Cain Dingle in Emmerdale.